After the release of the hotly disputed Nunes memo at the end of last week, discussions regarding true reporting, bias and perspective are already storming to the forefront again. There is already an opposition memo that I have a feeling will probably be released in the near future. Let me go out on a limb here. It will probably contradict everything that was in this first memo. As Christians then, we ought to be people who pursue truth wherever it leads. After all, we follow the one who calls Himself the Truth. The question then becomes how do we operate in this environment of competing truth claims? If there are two diametrically opposed narratives, what is the responsible way for the Christian or really anyone to make any decision on what to support or to believe? Believe it or not, as Christians, we are in a very advantageous position to do this because we already have the skill set necessary. Making a claim for religious exclusivity provides us with the tools necessary to think about any truth in a more general way. As Christians, we believe Jesus Christ is the one way to God, and He is the only option for our salvation. We are making a truth claim, and by making that one claim, we are implicitly saying that other pathways are false. We’re saying that Hinduism is incorrect when we say that Christianity is correct. Therefore, let’s think a little bit about why it perhaps we are Christians. Perhaps by looking at what makes us comfortable making one for truth claim, we can generalize to a more general set of ideas about how to think about any type of truth claim. The first thing to remember about Christianity is that we believe in the evidence. Anytime you’re trying to figure out what is true, obviously it makes sense to go to the evidence. For Christianity, that is not only the Bible but also the entire book of history as well as the majesty of the universe itself. We look at what is in existence, and we think about if it really makes sense in the first place. If a worldview does not account for the way the world is and doesn’t align with the evidence, then it is probably something that can be thrown out. Thinking about any type of claim then, I have to imagine that the same thing applies. We have to first go to the evidence itself. In the case of the Nunes and opposition memos, actually go look at the primary documents themselves. See what they say aside from any political commentary and evaluate the truth claims that they make. If they say things that are inconsistent with the way that reality is, then we have pretty good grounds to reject them as false. The story of the Magi I suppose largely takes place after the birth of Jesus Christ. After all, the star came out on the night of His birth, and they began to follow the star at that time. However, they would not have had a part in the Christmas story is their story did not begin before the actual night of Jesus’ birth. As we meet the Magi in Matthew 2, they came specifically seeking the King of the Jews. As they later explained to Herod, they came because they read the prophecy of Micah that indicated that the Messiah would be born in Bethlehem. Their journey began because of their understanding of the Old Testament. It is significant that these Magi came from the East. They were not Jewish. They were wise men who didn’t believe in the God of Israel. However, they were committed to seeking wisdom wherever it was to be found, and part of that journey involved reading from a tradition other than their own. Clearly, they studied the Old Testament well. After all, when they saw the astronomical wonder that was the star signifying where Jesus was born, they made the connection right away. The evidence overwhelmed them. They knew that even though believing in a Jewish Messiah was not part of their current worldview, when the evidence pointed them in a certain direction toward something that was true, they knew what they had to do. Two things stand out to me about the Magi first of all. For one thing, they were readers of the great books of the time, and that encourages me to continue reading the great books of Western civilization. Yes, some of them might not be from my faith tradition, but that doesn’t mean I can’t learn truth from them. As an example, I had to read The Prince by Machiavelli this past semester. I don’t agree with a lot of what he said, but I learned a lot from reading his insights on human nature and government. Granted, I don’t expect to find something that will overturn my worldview and send me on a long journey in the way that it happened for the Magi, but it is important to remember that reading great ideas and important books is a good thing. 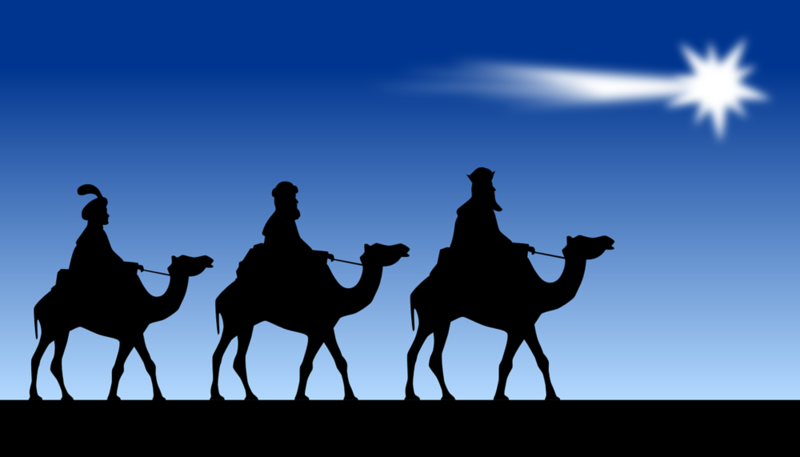 The second thing about the Magi that stands out to me is that they were willing to follow the evidence wherever it led. They were not Jewish, but when the evidence pointed them towards something supernatural happening in the natural world, they were willing to pursue the evidence. That is significant and admirable. Obviously we don’t know very much more about them from the account in Matthew, but I have to imagine that their fellow Magi thought they were crazy. Who would go off on to this type of an adventure following a star based on the prophecy in a book that wasn’t even from their religion? Their commitment is something we can emulate. I have more to say about the Magi this week, so make sure you come back.